We all start businesses with the intention of being successful, right? In addition to making a difference to our clients, we want the gold that comes as a result of our focussed efforts and hard work. If we think about it, we know that there are logical stages the business must progress through in order to be successful. Some progress through those stages easily and quickly. However, most of us can spend more time in earlier stages before we get the lift-off or success we’re seeking. 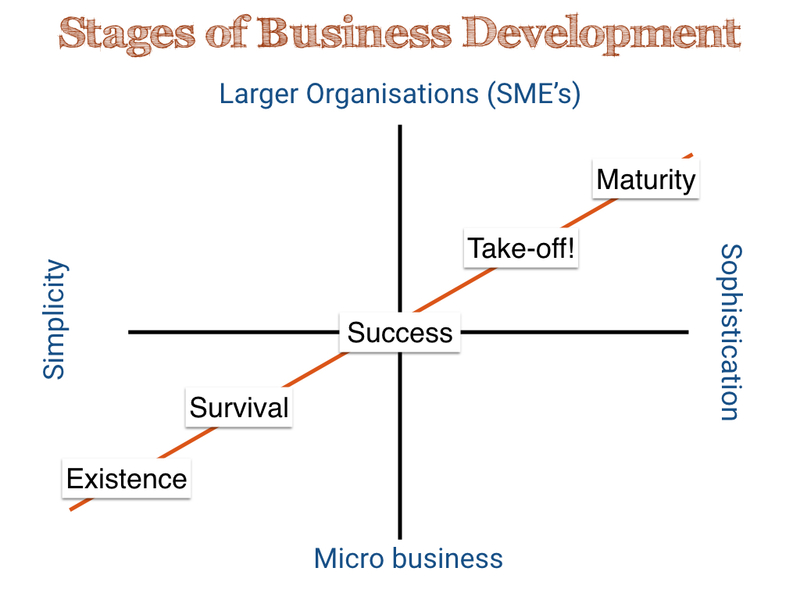 Each of the development stages involves different levels of sophistication in planning, function and outcomes. And each of those stages represents unique challenges requiring specific strategies in order to move to the next level. It’s also good to remember that every successful journey begins with a clear starting point. If you don’t know where you are – particularly compared with best practice for business development – it’s unlikely you’ll set the correct path or be concentrating on the areas that will give you the greatest positive impact in your business. That’s what the Business Diagnostic is all about.